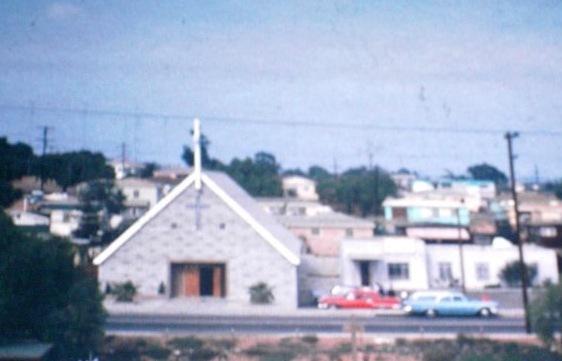 Betty parked her Austin Healey convertible in the parking lot and walked into the modest-sized Pentecostal church in National City, California. She was doing quite well for a single girl in the business world in the late 1950’s.Betty Picklesimer looked professional in her classy dark suit. She was, after all, an Officer at the local Bank. She knew very little about Pentecost, only what her brother had told her. She had seen wonderful changes in him and wanted to visit his church. She sat near the back on the right side as she entered the revival service. The church was full. Her brother, Alan Picklesimer was already a member there. He was 21 and the Sunday School teacher for teenage boys. I was 14 and in his class. My father, Carl Ballestero was the nightly evangelist. Betty came down to the altar when he finished preaching and the invitation was given. She repented and cried for a long time. When she finished praying, she asked to be baptized. The church rejoiced and shouted when she received the Holy Ghost and began speaking in tongues while still in the water. The next night, Betty was back in service again. 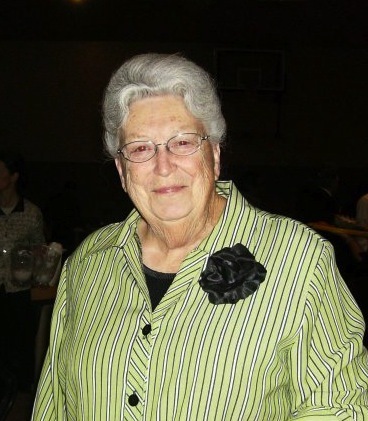 She was praising God and rejoicing in her newfound relationship with the Lord. During the altar service that night, Betty began praying with new seekers in the altar. My father became curious about what this new convert was saying to them. Betty began praying with a woman from Tijuana, Mexico. Here she was, a well-dressed professional businesswoman, praying with a very poor and uneducated woman. Dad moved closer so as to overhear her words. Betty shouted words of encouragement into the little lady’s ears. The Mexican lady immediately received the Holy Ghost! Are you ready to tell God that you’re stupid? That you don’t know anything? The Holy Ghost comes easily to hungry hearts that are willing to humble themselves! The Holy Ghost, Without Tongues, Isn’t! It Isn’t THE Holy Ghost! There Is Only One Kind Of Holy Ghost. Everywhere in the Scriptures where the Holy Ghost was poured out or given unto men, there was a noise associated with its appearance. The use of the definite article, ‘the’ (meaning only one) is connected with the words Holy Ghost, 89 times. There is no such thing a quiet-kind of Holy Ghost, or a non-speaking-in-tongues Holy Ghost. No one receives the Holy just by praying the sinner’s prayer and saying they believe Jesus is the Son of God. 1) Speaking In Tongues Was Prophesied In Isaiah. Speaking in tongues always accompanies the Gift of the Holy Ghost. 2) The Speaking In Tongues Was Prophesied By Jesus. 3) When The Holy Ghost Was First Given On The Day Of Pentecost, They All Spoke In Tongues. The evidence that they had received the Holy Ghost was that they spoke in tongues. 4) Peter Said That The Holy Ghost Experience Was For Everyone, Just Not Those In The Upper Room Or For Those Present. 5) The Proof That Cornelius And His Household Actually Received The Holy Ghost, Was That They All Spoke In Tongues Just Like Those In The Upper Room. When the Gentiles spoke in Tongues, Peter was convinced that they had received the same experience he had. 6) Just Because You Are A Believer Doesn’t Mean You Have Received The Holy Ghost. 7) Do NOT Confuse The Gift Of The Holy Ghost, With The Gift Of Tongues. The Gift of the Holy Ghost is necessary for Salvation. The Gift of Tongues is given to some who already have received the Gift of The Holy Ghost. 8) The Holy Ghost Is Jesus Christ In You. 9) The Lord Will Not Claim You As His Child Unless You Have Received The Holy Ghost. 10) Everyone Must Be Born Again Of The Water And Of The Spirit To Be Saved. Don’t Stop Praying And Seeking God Until You Have Received All That He Has For You! If it is From God.